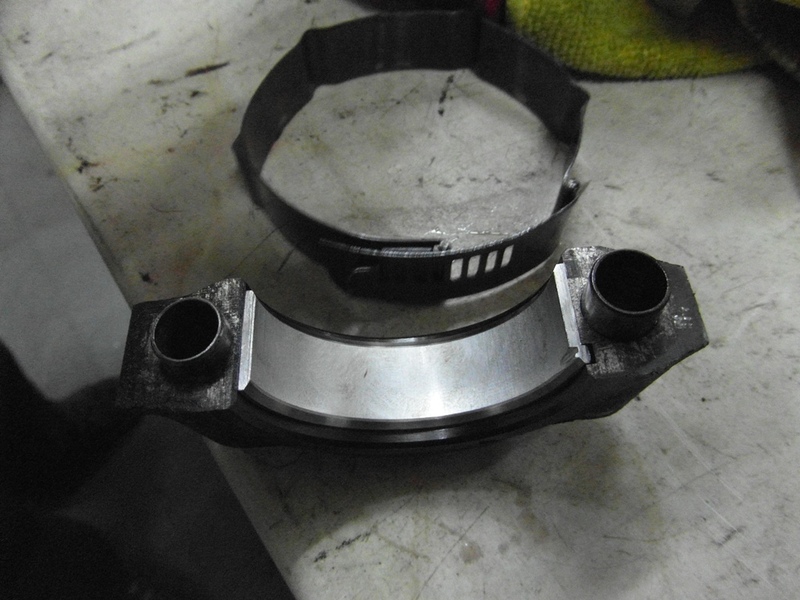 The build continues, Assembly of the pistons / rods / big end bearings. 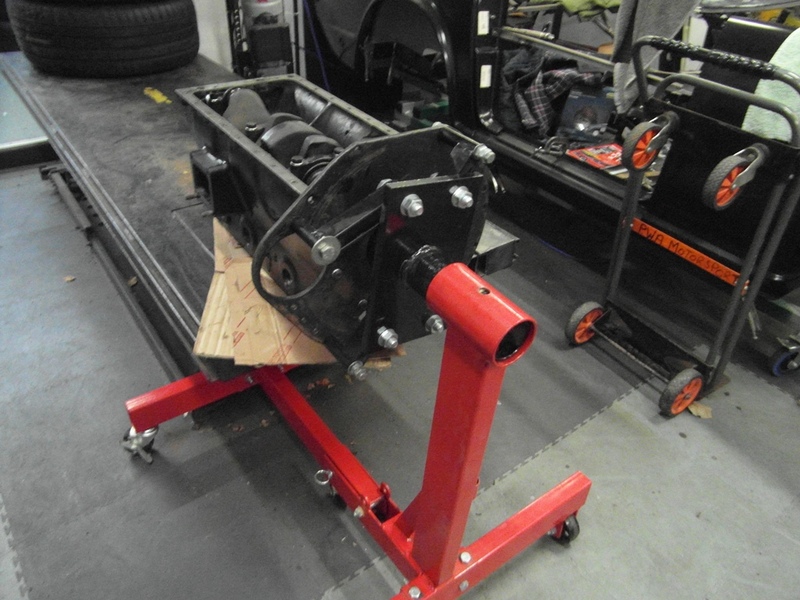 First the block has it's back plate refitted, and then remounted on my engine stand. To aid this process we placed the block on my bike ramp so the correct height for the stand could be attained. It's too heavy to lift by hand ! Note the locating dowels in the caps and the locating tabs to stop the shells spinning in the rod. Note the piston ring compressor in the background. 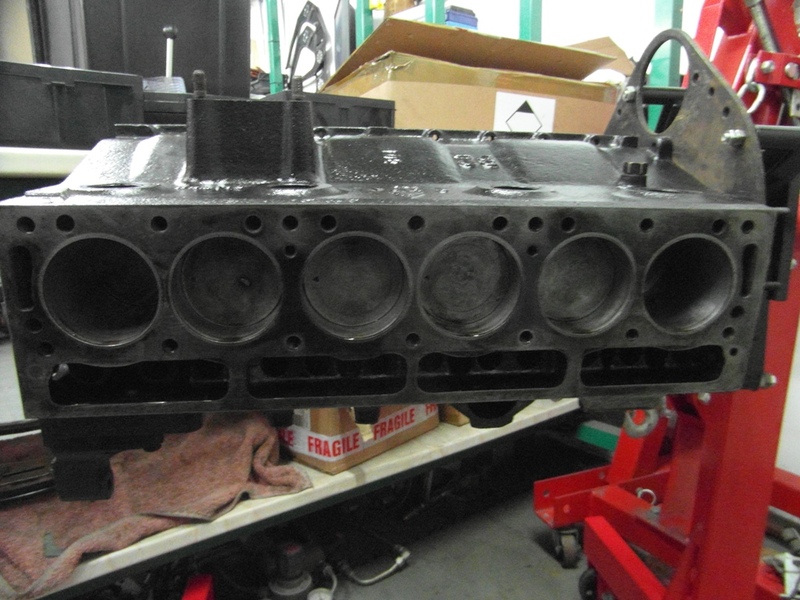 Here we can see that all six pistons have been refitted. If you look close at the pistons you will see on the left (9 o'clock position) the arrow indicating "front" This is very important as pistons are NOT round ! They are oval and tapered, not parallel when cold. 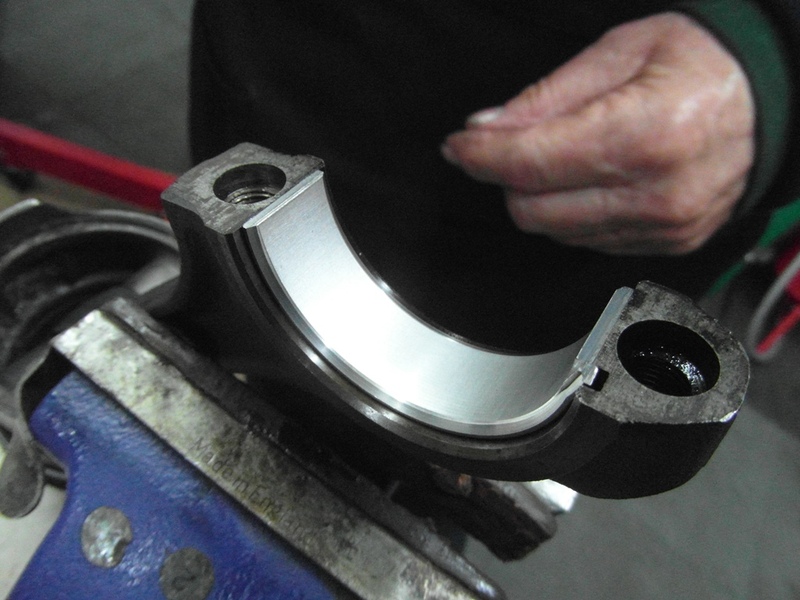 This shows the relative size of the block as John wheels it around on it's stand, a most valuable toll, allowing it to be rotated for the best working position. 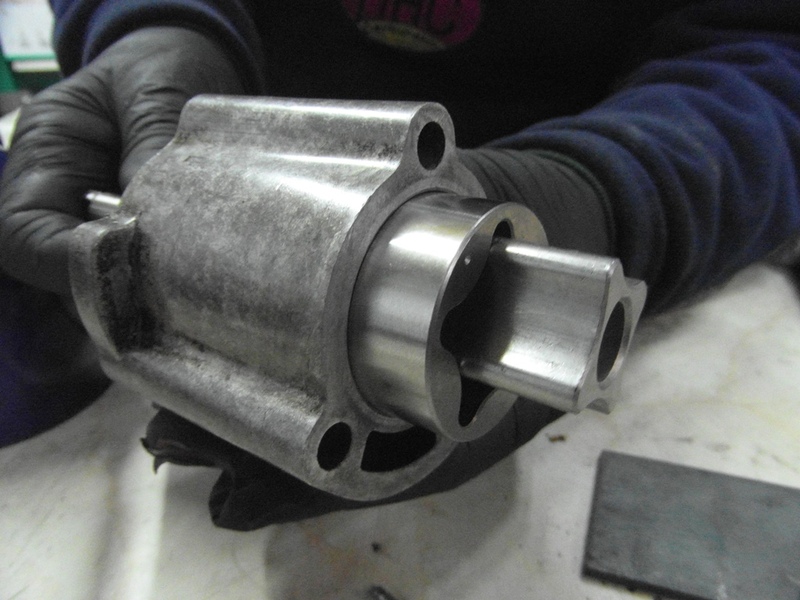 Here you can see the new parts for the oil pump, the rotor and sleeve, the two moving elements of the pump. The casing was in very good order.